MatchInfo is a script which uses the opponents infos and tries to find him on sc2unmasked. 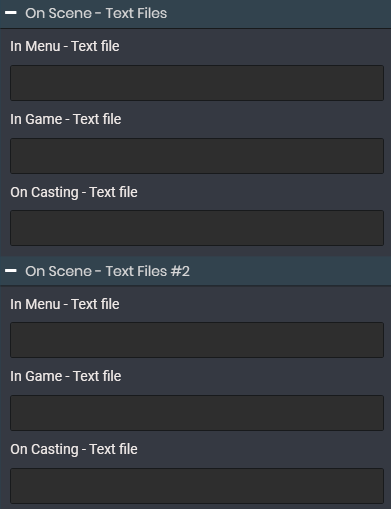 If found – it enables you to use those infos immediately for either your Twitch stream title or inside textfiles which you can use in your OBS overlay as text sources. As addition it will also show you your own MMR. Replaces the current info as soon as new infos are available (New opponent, etc.). Example: You put “$p2name” in a field. 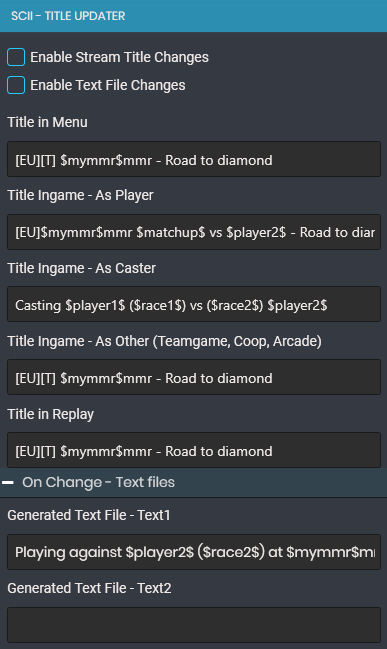 – You have a new game vs. PlayerXY and hence the textfile will contain PlayerXY. – Afterwards you’re back into the menu and it still shows PlayerXY. – Now you’re in a new game and the opponent is PlayerXXX. Now it will change from PlayerXY to PlayerXXX. Replaces the current info when you switch to a new scene in StarCraft II itself (In game, In Menu, In Replay, etc.). – You’re in the menu and the textfile contains “4000 Zerg”. – You have a new game vs. PlayerXY and hence the textfile will contain “4000 Zerg playing against PlayerXY”. – You won the game and you’re back in the menu. The textfile shows “4050 Zerg” (because you gained 50 MMR with this game).